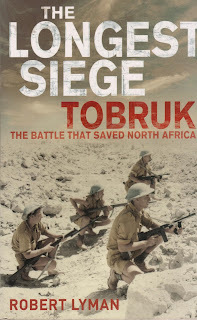 "The Longest Siege" reads very well indeed covering the encirclement as well as the siege were the author never spurns an opportunity to praise the fighting prowess of the Australians. 7/10. 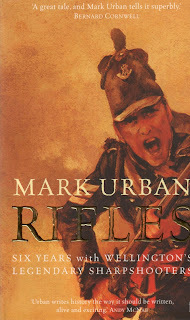 "Rifles" uses an interesting literary device to provide a wonderful book on the Napoleonic wars painting a vivid picture of how the wars were fought. 9/10. 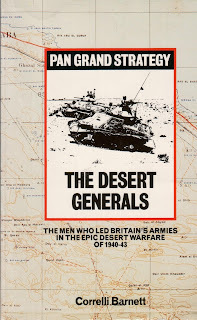 "The Desert Generals" is the revised edition from 1983 were the the author provides further evidence for his devastating 1960 critique of the British campaign in North Africa and Montgomery in particular. 10/10. If you want a reading copy then my used copies are yours for the cost of the postage. To arrange this just email me using the contact form in the page footer. Books now on their way to a new home.